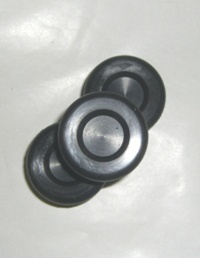 Replacement rubber boot for exterior push button stations such as 3 BX,3BXL. 1 BX ,2BX, 3 BXTL 3BXT. Please note these fit Gleason-Avery or Vee Industries, Inc parts exclusively. Not recommended for any other brands in as dimensions may differ slightly causing damage to the product ( by allowing moisture to collect) when used.